A long time ago, when magic was the only science known to man, there dwelt in the land of Llewdor a wizard named Manannan. He was very learned in all matters of the heavens and the earth. A powerful wizard as he was, he also liked his solitude, and apprenticed a very young boy to do his bidding, taking the lad when he was only a year old, so that the boy would have no memories to tug at him in the years to come. Unfortunately, as his slave grew in stature and in strength, Manannan was irritated to find him poking around in areas of the house where he didn't belong, or explore the countryside. When he once found his slave practicing magic spells, Manannan got furious and reduced his slave to a small pile of ashes. And so the years passed as Manannan went out to find new boys in distant lands, raising them with iron hand and murdering them as a precaution each time they reached their 18th birthday. 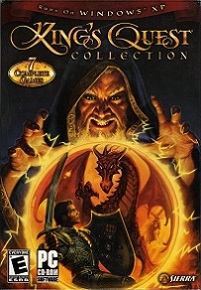 You play as Gwydion, the latest slave of the evil wizard, who is approaching his 18th birthday. Well-aware of the evil wizard's intentions, and curious about his past and country of origin, Gwydion needs to race against time to prevent his own demise and escape the house of Manannan without him noticing anything out of the ordinary. During his dangerous adventure, Gwydion discovers that his homeland of Daventry has been under siege by a ferocious 3-headed dragon to whom his sister is going to be sacrificed in the hopes to lift the curse from the land. Only he can stop her horrible faith and defeat the monstrous creature. But can he first escape from Manannan before it is too late? 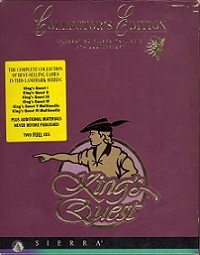 King's Quest III is quite different from its predecessors as the lead role is not played by King Graham. Only at the end of the game Daventry comes into play and Graham and queen Valanice make a cameo. It is also more difficult as a timer indicates the limits within which Gwydion has to complete certain tasks to prevent his own demise. Finally the game's trademark is the large number of spells and ingredient gathering that is involved throughout the entire game, which is simultaneously the game's copyright protection. All in all, the game was considerably harder than its predecessors, even to the point of frustrating without the use of a hintbook. 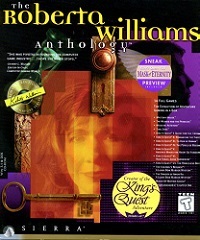 Written and directed by Roberta Williams, King's Quest III used a text parser and the AGI engine. 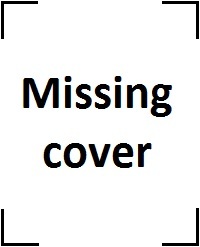 It was unofficially remade twice by fan groups. 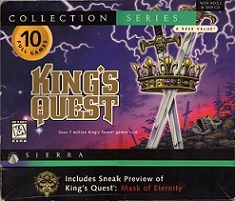 The first VGA-style remake was released on June 19 2006 by Infamous Adventures. 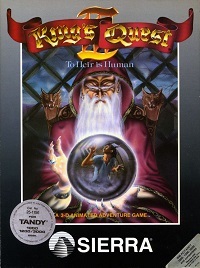 On February 23 2011, AGD Interactive released their remake, under the title King's Quest III Redux.